South Africa: Fair Trade Tourism certifies Iketla Lodge in Limpopo! Fair Trade Tourism (FTT), a South African NGO that encourages and monitors fair and responsible practises in tourism establishments and activities, has added the Iketla Lodge in Limpopo to its portfolio of tourism businesses in South Africa. The four-star lodge, which accommodates just 16 people, is situated in the middle of a 540 hectare private nature conservancy on the Panorama Route, approximately 30 minutes' drive from the famous Blyde River Canyon. Iketla Lodge is home to more than 200 different bird species and numerous migratory species of wildlife.Iketla Lodge is owner-run and was purpose built to minimize its impact on the natural environment. Five of the eight chalets were built on the edge of a rise and offer secluded look-out points into the valley. Each chalet has an en-suite bathroom with stone-built indoor shower and open-air outdoor shower. Kenya Airways to introduce nonstop flights between Nairobi <> Cape Town! Kenya's flag carrier, Kenya Airways, is set introduce a nonstop service between Jomo Kenyatta International Airport (NBO) in Nairobi and Cape Town International Airport (CPT) in Cape Town on 06 June 2018. The airline will operate three weekly nonstop flights to the Mother City on board a Boeing 737-800. Kenya Airways will continue to operate four weekly flights between Nairobi and Cape Town via Harry Mwanga Nkumbula International Airport (LVI) in Livingstone (Zambia) and three weekly flights via Victoria Falls International Airport (VFA) in Victoria Falls (Zimbabwe). Ethiopian Airlines to launch flights between Addis Ababa <> Chicago! Ethiopia's flag carrier, Ethiopian Airlines, is set to introduce a new service between Bole International Airport (ADD) in Addis Ababa and O'Hare International Airport (ORD) in Chicago on 02 June 2018. The airline will operate three weekly flights to Chicago on board a Boeing 787-8 aircraft. The westbound service from Addis Ababa to Chicago will be served via Dublin, while the return flight will be a non-stop service. Zambia: Proflight Zambia adds more flights to its Lusaka <> Ndola route! Proflight Zambia, the operator of the largest fleet of aircraft in Zambia, is set to introduce an additional mid-afternoon flight between Kenneth Kaunda International Airport (LUN) in Lusaka and Simon Mwansa Kapwepwe International Airport (NLA) in Ndola to meet the additional demand. The new flight, which will be launched on 01 February 2018, will be the airline's fourth return flight per day on the route. 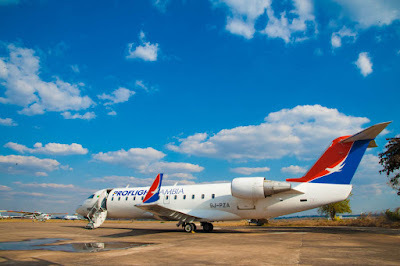 Proflight Zambia will predominantly operate one of its 29-seat Jetstream 41 aircraft, with periodic upgrades to a 50-seat Bombardier CRJ-100 jet, between the two destinations. The airline will continue with the flights until the end of March 2018 and then assess whether to continue with the additional flight. Tanzania: Fastjet to launch flights between Dar es Salaam <> Kigoma! Low-cost carrier Fastjet is set to introduce flights between Julius Nyerere International Airport (DAR) in Tanzania's capital Dar es Salaam and Kigoma Airport (TKQ) in Kigoma in western Tanzania on 01 March 2018. The new route will be operated by an Embraer E190 aircraft on Tuesdays, Thursdays, and Saturdays. Kigoma is Fastjet's sixth destination in Tanzania. Zimbabwe: Air Zimbabwe directy collects the Passenger Service Charge & AIDEF from its passengers again! update (01 February 2018): Due to some logistical challenges, Civil Aviation Authority of Zimbabwe (CAAZ) & Air Zimbabwe had to postpone the reinstatement of then Passenger Service Charge (PSC) and the Aviation Infastructure Develepment Fund (AIDEF) payments! Please be advised that due to some Logistical Challenges @AirZimbabwe, our earlier Notice on the reinstatement of Passenger Service Charge #PSC & Aviation Infrastructure Development Fund #AIDEF will NO longer take effect on 1/2/18. The Civil Aviation Authority of Zimbabwe (CAAZ) has informed the public that with effect from 01 February 2018, all tickets issued by the flag carrier of Zimbabwe, Air Zimbabwe, will include the Passenger Service Charge (PSC) and the Aviation Infastructure Develepment Fund (AIDEF) payment again. Due to "some policy changes" in November 2014, the CAAZ currently collects the PSC and AIDEF directly from passengers of Air Zimbabwe. Qatar Airways to temporarily introduce additional weekly flights between Doha <> Windhoek! The state-owned flag carrier of Qatar, Qatar Airways, is set to temporarily introduce additional flights between Hamad International Airport (DOH) in Doha and Hosea Kutako International Airport (WDH) in Windhoek. The airline will operate seven flights per week instead of the current five flights per week from 03 July 2018 until 30 Augugst 2018. Qatar Airways' additional flights on Tuesdays and Thursdays are already open for bookings. 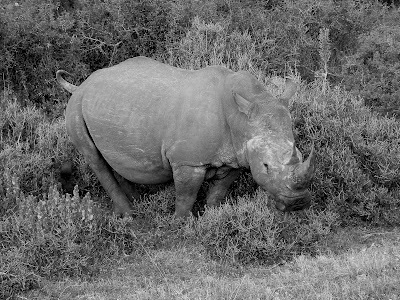 South Africa released rhino & elephant poaching statistics for 2017! South Africa's Department of Environmental Affairs (DEA) has finally released the rhino poaching numbers for 2017. According to the DEA, a total of (at least) 1028 rhinos were poached in South Africa in 2017 (2016: 1054). Out of the 1028 rhinos poached, 504 rhinos (2016: 662) got illegally killed by poachers in Kruger National Park. A total of (at least) 67 elephants were poached in the Kruger National Park and one was poached in KwaZulu-Natal between 01 January 2017 - 31 December 2017. A total of 502 alleged rhino poachers and 16 alleged traffickers were arrested nationally in 2017 bringing the total figure to 518. This also includes 21 "officials" that got arrested due to poaching-related offences. The total number of arrests represents a decrease from 2016 when a total of 680 poachers and traffickers were arrested. For the Kruger National Park, the number of arrests of alleged poachers stood at 446 in 2017 – this comprises 189 arrested inside the Kruger National Park, and 257 adjacent to the Park. This represents an increase compared to 2016 when a total of 417 were arrested inside and adjacent to the Kruger National Park. A total of 220 weapons were seized in rhino-related incidents both inside and outside the Kruger National Park in 2017. 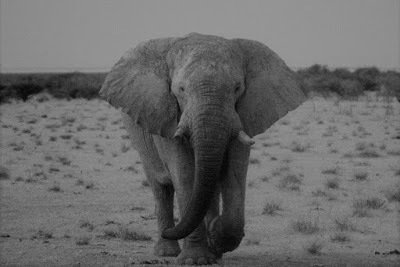 Kruger National Park: Several gates are temporarily inaccessible due to taxi protests! update (26 January 2018): Phabeni Gate, Numbi Gate and Paul Kruger Gate in the Kruger National Park are accessible again! update (25 January 2018): We just got this info update via facebook: Access to Numbi Gate was blocked briefly this morning due to Taxi Route Disputes in Hazyview. At no time has access been blocked to either Phabeni or Kruger Gates. South African National Parks (SANParks) just informed the public that Kruger National Park's Paul Kruger Gate, Numbi Gate and Phabeni Gate are temporarily inaccessible (25 January 2018) due to protests taking place on the R40 between the Police Station in Hazyview and the intersection to Kiepersol which is blocked at the moment. Travellers planning to visit Kruger National Park are advised to use alternative gates such as the Malelane Gate to access or exit the Park until further notice. We'll keep you posted! Hoscars 2018: The best hostels in Southern & East Africa! Hostelworld.com, the world's leading hostel-focused online booking platform, has announced the winners of the 2018 HOSCARS (Hostelworld.com Customer Annual Ratings). Now in their 16th year, the HOSCARS are known to be the world's most prestigious hostel awards, recognizing the top hostels around the globe as voted for by the Hostelworld.com users. Congrats! Brandberg Heritage Site (Namibia) to reopen for tours and hiking! The National Heritage Council of Namibia (NHC) just informed the public that the Brandberg National Heritage Site ("White Lady Hike") is open once again for business as usual as from 26 January 2018 for tours and hiking. The Heritage Site was closed since earlier in January due to reported cases of lions in the area. Please note that leisure permits should be obtained for hiking. Please contact the NHC for more information on the application procedure and fees. 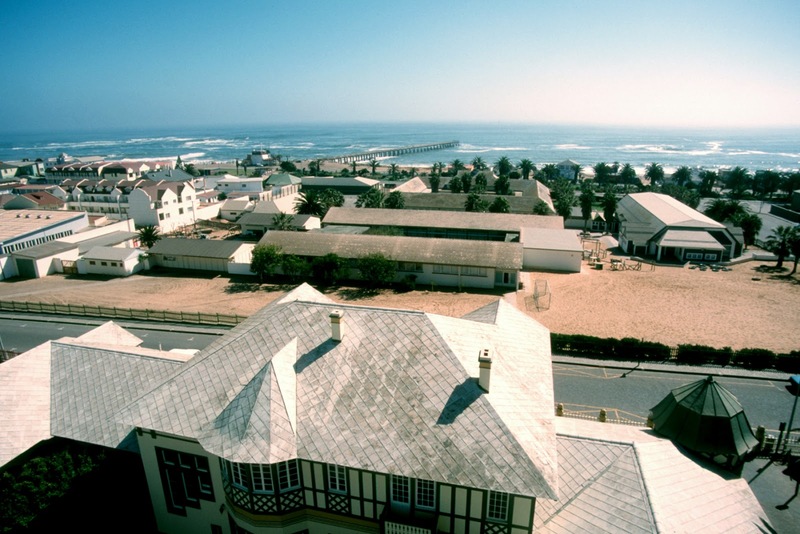 The Brandberg Heritage site is situated about 30km north west of the small town of Uis, close to the road from Khorixas to Hentie's Bay. Botswana to introduce a new P10 polymer banknote! Botswana's Bank of Botswana will introduce a new polymer P10 (pula) banknote on 01 February 2018. The new banknote, which will circulate concurrently with the current paper P10 banknote, has largely maintained the same design and colour as the current paper P10 banknote, except that it has more advanced security features. Kenya: Jambojet to launch flights between Nairobi <> Entebbe! Kenyan low-cost airline Jambojet, a subsidiary of Kenya Airways, is set to introduce double daily service between Jomo Kenyatta International Airport (NBO) in Nairobi and Uganda's principal international Airport, Entebbe International Airport (EBB), in Entebbe on 15 February 2018. The airline will operate a 78-seater Bombardier Q400 aircraft on the new route. Cathay Pacific to launch non-stop flights between Hong Kong <> Cape Town! update (23 February 2018): According to aviation specialists RoutesOnline, Cathay Pacific's Hong Kong <> Cape Town service will be on a seasonal basis (13 November 2018 - 18 February 2019). According to various news reports, the flag carrier of Hong Kong, Cathay Pacific, is set to announce non-stop flights between Hong Kong International Airport (HKG) in Hong Kong and Cape Town International Airport (CPT) in Cape Town. The airline is planning to introduce a year-round service later this year. The flights to Hong Kong will be Cape Town's first non-stop service to Asia in more than six years. For now, no mainland Chinese carrier flies to the South African city. The flights between Hong Kong and Cape Town are expected to take about 14 hours. Singapore Airlines – the only Asian airline serving Cape Town at present – operates a 13:55 hrs flight via OR Tambo International Airport (JNB) Johannesburg. OR Tambo International Airport (Johannesburg): New and more convenient long-term parking area set to open to the public! Johannesburg's OR Tambo International Airport will offer long-term travelers a new parkade home from 01 February 2018 and will close the current long-term "Super South" parking area. The new long-term parking area, which is located in the "MSP2" parkade under the City Lodge hotel just a five-minute walk from the domestic and international terminals, offers 4 300 parking bays over five levels. Directional signage for the new long-term parking area has been installed on access roads to OR Tambo International Airport. The new long-term parking area is ideal for travellers who will be away for three days or more. By pre-booking a long-term parking spot via the "Book Parking Online" link on the website of Airports Company South Africa (ACSA; airports.co.za), travellers can save up to 50% of their total parking fees by booking up to five days in advance. Discounts start at 10%, one day in advance, 20%, two days in advance and so on, up to the five-day maximum advance booking period. Travellers who wish to park in the dedicated long-term parking area without pre-booking can do so on Level -1, but will have to exceed a 3 day stay to qualify for long term rates. Once the stay has exceeded 3 days, the rate will recalculate to long term rates. Ethiopian Airlines & the Government of Zambia to re-launch Zambia Airways! update (21 August 2018): It is expected that Zambia Airways will take to the skies on 1 January 2019 and will operate 12 planes by 2028. Africa's largest aviation group, Ethiopian Airlines from Ethiopia, and the Government of Zambia have finalized a shareholders agreement for the re-launch of Zambia Airways. The Government of Zambia will be the majority shareholder with 55% and Ethiopian Airlines will have 45% stakes in the airline. According to the press release, Zambia Airways is meant to initially serve national and regional destinations before embarking on international flights. The establishment of multiple hubs in Africa has been a key strategy of Ethiopian Airlines under its Vision 2025. The flag carrier of Ethiopia currently operates hubs at Gnassingbé Eyadéma International Airport (LFW) in Lomé (Togo) with ASKY Airlines and at Lilongwe International Airport (LLW) in Lilongwe (Malawi) with Malawian Airlines. Zambia Airways was the flag carrier of Zambia until the airline ceased operations in 1995. We'll keep you posted! Mango to increase flights between Johannesburg <> Zanzibar! South African low-cost airline Mango, a subsidiary of South Africa's flag carrier South African Airways, is set to introduce an additional flight on Thursdays between OR Tambo International Airport (JNB) in Johannesburg and Abeid Amani Karume International Airport (ZUZ) on Zanzibar. Effective 01 March 2018, the airline will operate three instead of the current two frequencies on Tuesdays and Saturdays to the Tanzanian island in the Indian Ocean. Namibia: Swakopmund to ban the usage of plastic bags! The Swakopmund Municipality is set to approve the implementation of a by-law to ban plastic bags. This means that the use of plastic bags will not be allowed in Swakopmund from March 2018. The long term goal is the complete termination of plastic bags, but the current focus will initially be reducing its use to promote the utilisation of re-usable and biodegradable bags, which are already available in several stores in town. The Swakopmund Municipality will also introduce a certain levy, which will be charged to shoppers and anyone found using plastic bags. Brandberg Heritage Site (Namibia): No tours due to reported cases of lions in the area! The National Heritage Council of Namibia just informed the public that it is currently not conducting any tours at the Brandberg Heritage Site ("White Lady Hike") until further notice due to reported cases of lions in the area. The service at the site is therefore put on hold until the institution finds a solution to the above mentioned problem. We'll keep you posted! South African Airways & TAAG Angola Airlines have signed a codeshare agreement! South Africa's flag carrier, South African Airways, and Angola's flag carrier, TAAG Angola Airlines, have signed a new codeshare agreement. Under the extended agreement, South African Airways will put its "SA" code on TAAG's direct services between Johannesburg <> Luanda and between Cape Town <> Luanda effective 15 January 2018. In return, TAAG Angola Airlines will put its "DT" code on South African Airways' direct services between Johannesburg <> Luanda. In the near future, South African Airways' flights between Johannesburg <> Harare, Johannesburg <> Lusaka, and Johannesburg <> Hong Kong will also become part of the codeshare agreement. South African Airways and TAAG Angola Airlines formed an interline relationship in 1996 and expanded it into a commercial partnership in 2007. Kenya Airways to launch direct flights between Nairobi <> New York in October 2018! Kenya's flag carrier, Kenya Airways, will launch daily direct flights between Jomo Kenyatta International Airport (NBO) in Nairobi and John F. Kennedy International Airport (JFK) in New York in October 2018 on 28 October 2018. The airline will operate a Boeing 787-8 Dreamliner on the new route. Travellers will be able to start booking advanced tickets for Kenya Airways' inaugural US flight on 11 January 2018. Cape Town's best coffee shops (video)! One of South Africa's leading online travel shops, TravelStart, has set up a list of Cape Town's best coffee shops. Not only coffee addicts constantly looking for a much needed caffeine fix will find these five shops quite tempting... Kudos TravelStart; enjoy Cape Town! Haas Coffee, 19 Buitekant St.
New York Bagels, 44 Harrington St.
Ethiopian Airlines to launch flights between Addis Ababa <> Geneva! Ethiopia's flag carrier, Ethiopian Airlines, is set to introduce three weekly flights between Bole International Airport (ABB) in Addis Ababa and Geneva Airport (GVA) in Geneva, Switzerland, on 03 June 2018. The route will be operated with a Boeing 787-800, one of the most technologically advanced aircraft in the carrier's fleet family, featuring up-to-date amenities with redefined travel experiences. South Africa's most punctual domestic airlines in December 2017! Airports Company South Africa (ACSA) has published the on-time performance results of domestic airlines’ flying out of OR Tambo International Airport (JNB) in Johannesburg, Cape Town International Airport (CPT) in Cape Town and Durban's King Shaka International Airport (DUR) in December 2017.